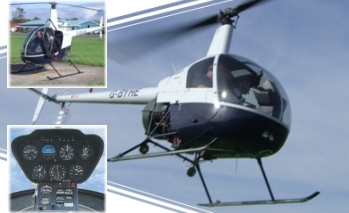 Our Helicopter Trial Lessons allow you to experience the thrill of flying and will even count as the first step towards your Private Pilot's Licence. Newtownards Airport is located in Newtownards, County Down, Northern Ireland (United Kingdom). It is situated 10 miles east of Belfast and off has a restaurant onsite for visitors. Gloucestershire Airport is located at Staverton, in the Borough of Tewkesbury within Gloucestershire, England. it used to be known as Staverton airport and is situated about 4 miles west of Cheltenham near the city of Gloucester. Denham Aerodrome is situated near Denham in Buckinghamshire. It lies beneath Londons airspace and is gereral aviation aerodrome. Manchester Barton Aerodrome, also known as City Airport and Heliport is situated in Eccles City of Salford in Greater Manchester. It is a general business and aviation airport located around 5 miles from Manchester City.